On the day of enrolment, a parent or legal caregiver are expected to accompany their child to school. The enrolment form and all supporting documentation is checked for compliance. The original birth certificate MUST be sighted and a certified copy taken for school records. For new entrant students, a copy of his/her immunization certificate will also be required (you can collect a copy from your General Practitioner or Medical Centre). For Years 9 – 13 an interview will be arranged to discuss your child options with the Deputy Principal. Your childs timetable will be created and a copy provided for their diary. A staff member will be allocated as your childs Learning Advisor and they will monitor the progress, attendance, behaviour and dress code. 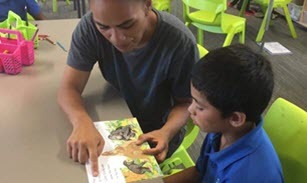 These teachers will build up a good rapport with their students and Whanau and it is hoped that you will get to know them well. On completion of the enrolment form or interviews, the Principal or Administrator will give an induction on boundaries, rules and regulations and will introduce parent/s and child to the teacher of the appropriate class as well as a tour of the schools facilities.